Marigolds have been in full bloom at the LA Flower Market these past few weeks, which means they are also coming at a great price. About a month ago, Grant and I spent Sunday afternoon enjoying a delicious breakfast at the new restaurant across from the Market – Poppy + Rose – and then headed in to pick up a few bouquets for our home. I hung them to dry and put the petals to use by making some wonderfully moisturizing soap (this California heat is killing us!). 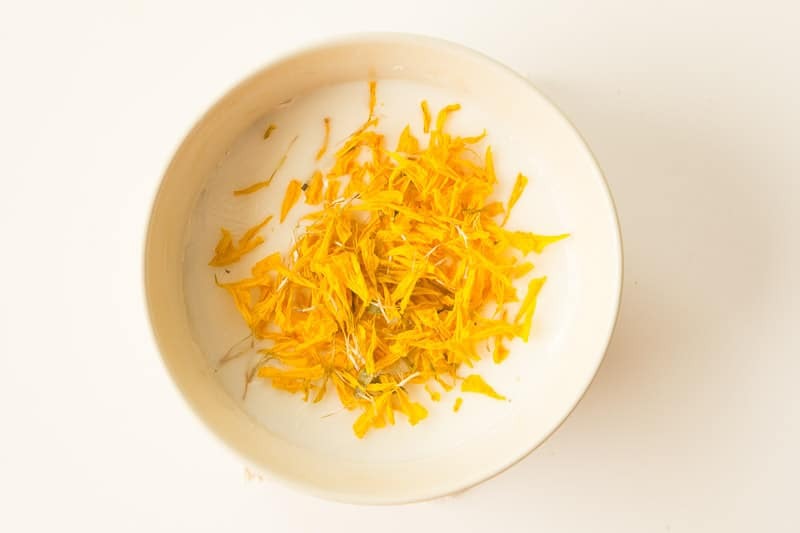 Why I picked these ingredients: Marigolds (also known as Calendula) are known to help reduce inflammation and aid in treating eczema that can come from the dry winter air. 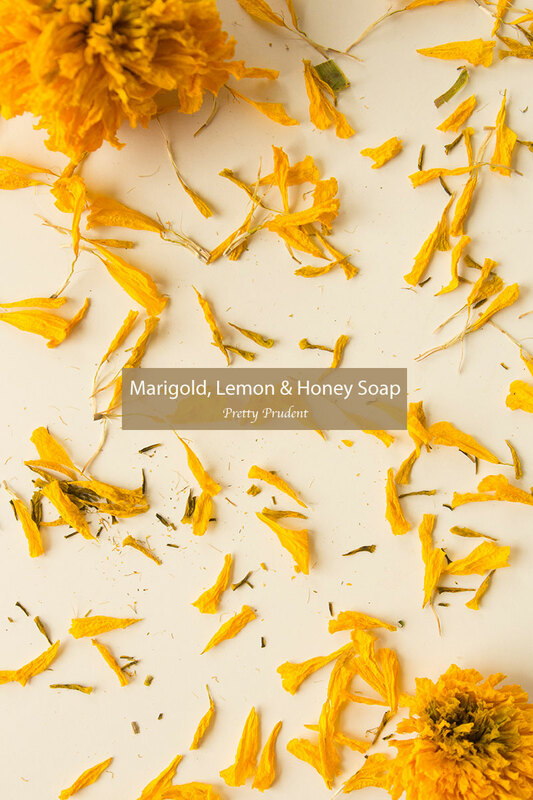 Lemon has antiseptic benefits and shea butter and honey are both wonderfully moisturizing. 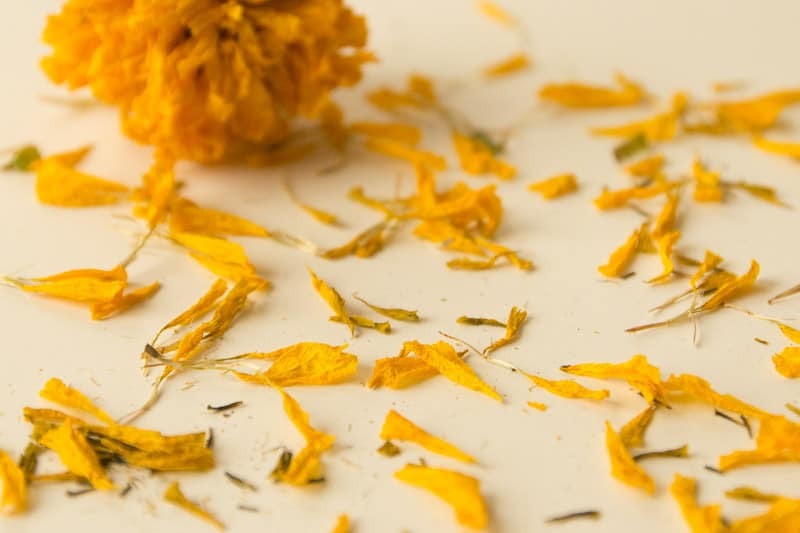 Start by removing the petals from your dried Marigolds. Check out our Dried Flower Bouquets post to see more about drying flowers. Follow the steps for the Melt and Pour soap, you can also check out Jacinda’s Ice Cream Soaps. 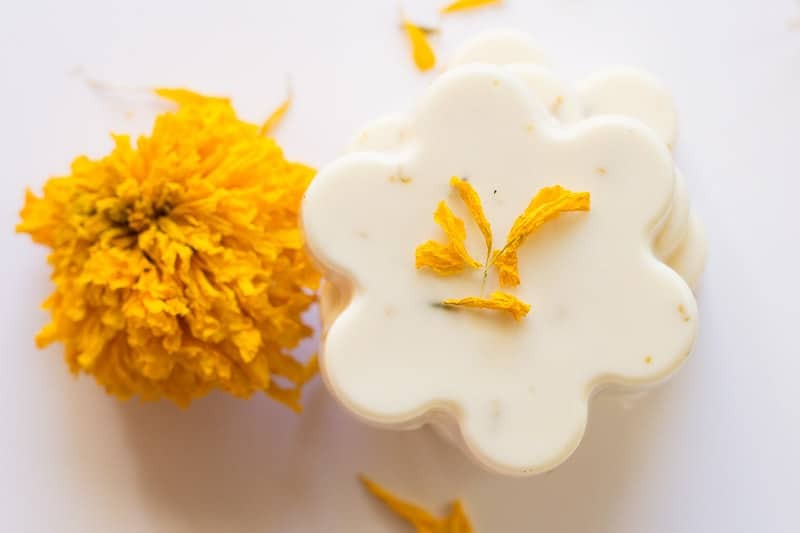 When your soap is all melted you can add in the Marigold, Honey, and Essential Oil. Once they have cooled, pop them out of their mold and package them up to give as gifts. 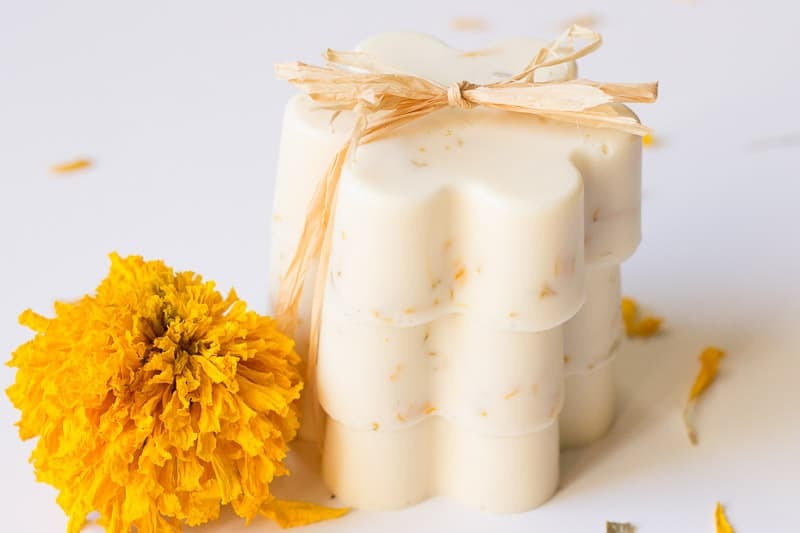 Be inspired to get squeaky clean with flowers by making: Dried Flower Clear Soaps and Rose and Eucalyptus Body Scrub. 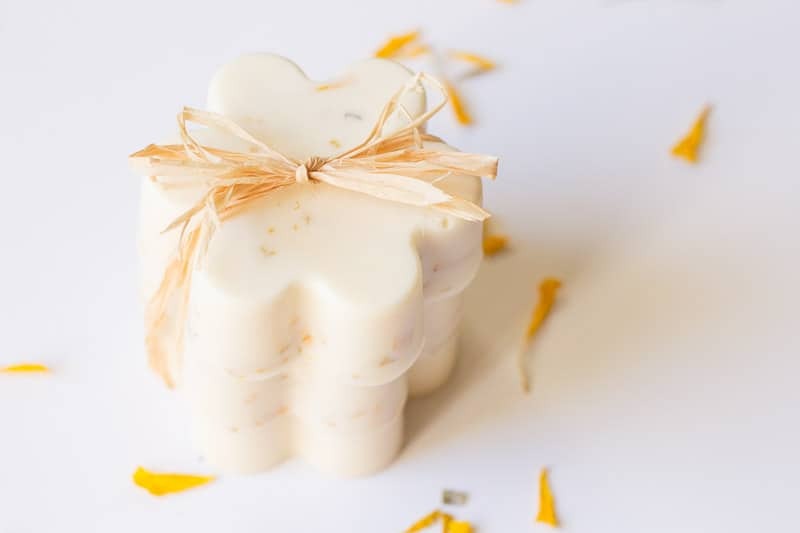 Oh, I was hoping to find a link as to where I could purchase this very tempting soap – I do LOVE a hot soak in the tub with wonderful body soaps. Beautiful! Yes, this dry heat calls for soap like yours!